This fruity and highly versatile Wild Fruit sauce is ideal for pancakes and cheesecakes. 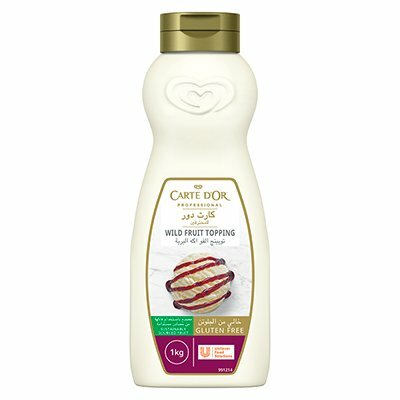 The high fruit content of Carte D'or Wild Fruit Topping makes it perfect for ice cream and all pastry applications. Ambient (Store in a cool and dry place) in original packaging.